What’s it like to work with David Duchovny? 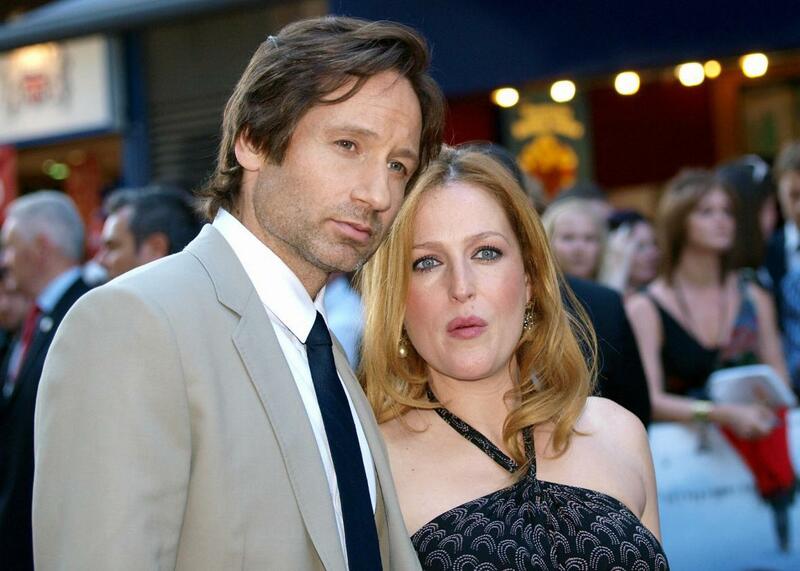 David Duchovny and Gillian Anderson arrive for the British premiere of the X-Files: I Want to Believe in London in 2008. These questions originally appeared on Quora, the knowledge-sharing network where compelling questions are answered by people with unique insights. You can follow Quora on Twitter, Facebook, and Google Plus. We definitely stayed closer to set this time round than we used to. I mean, our trailers were where our life happened back in the day! I had a child in mine for one! These days though, after a scene finished, you’d actually find us chatting to our co-stars from time to time, like Joel McHale who won’t shut up about anything but mostly current events (just kidding … ish), or Kumail Nanjiani who also won’t shut up, but mostly about The X-Files. Anyway, it’s good entertainment. What is it like to make a television drama for BBC versus American networks? Working for an American network—the stakes are pretty high especially these days, with studios trying to figure out not only how to keep audiences coming back but also to track when and how within the changing formats. The pressure is not so great in the U.K. You aren’t really working for a studio, and the production companies are smaller, so one tends to have a more personal relationship with the people running the show. In the states, it’s a bigger machine and more red tape and sometimes the the fact that human beings are involved can get lost in the mix. It’s definitely less user-friendly. But both sides of the pond have their perks. And I’m just grateful to get to flip flop at all! Was it difficult to separate and create different personas for Stella G. and Scully since they are both in the police field? Scully and Stella are entirely different people on the page. They carry themselves differently and respond to situations differently. It’s pretty easy in a broad sense to keep them separate in my head. Where it gets challenging is in the listening. How does Scully’s listening differ from Stella’s listening? I guess we’ll soon find out if there is a difference at all, or if it’s just in my head! Television Dramas: What is it like to make a television drama for BBC vs. American networks? Actors and Actresses: How has social media affected the professional and personal lives of successful actors? Gillian Anderson: Was the experience of shooting Hannibal different from other TV shows?